This is a version of bodybuilding for those male athletes who don't want to develop their muscles to their "extreme" full potentials but prefer a lighter "classic" physique. 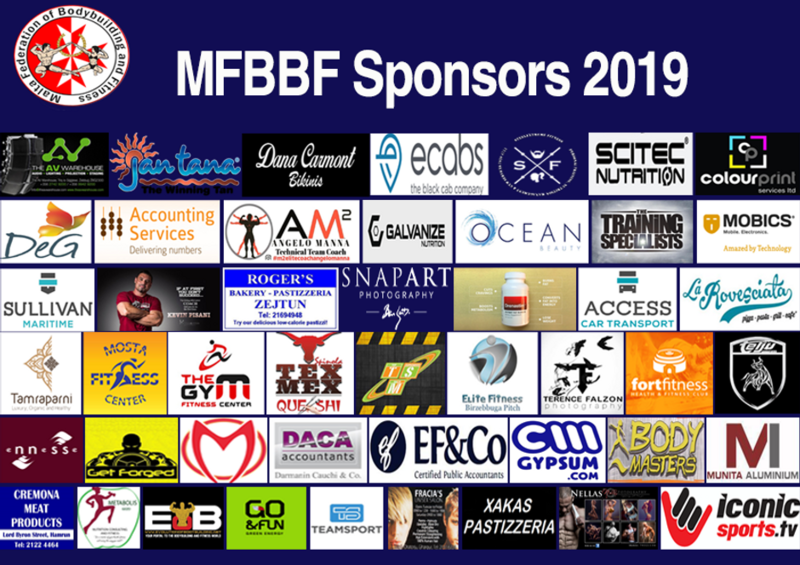 In this category the competitors' bodyweight is limited according to their height, following the special IFBB formula for each height category currently there are five categories, up to 168 cm 171 cm; 175 cm, 180 cm and over 180 cm. Since muscle mass is limited, special attention is paid to the overall aesthetics, proportions and lines of the physique, muscle shape and condition (density, body fat level, definition and details). 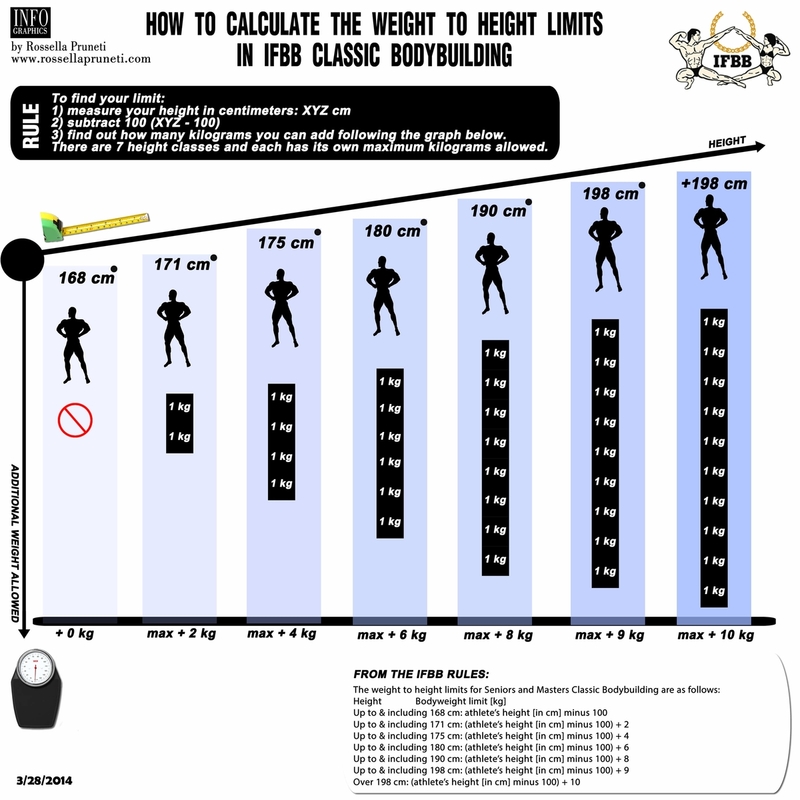 Click here for the height to weight chart. After the pose-down athletes return to their original line-up and proceed to back stage. Each athlete is then called out individually to perform a sixty second posing routine. The posing routine is a choreographed artistic presentation in which poses chosen are at the athlete's discretion however compulsory poses should be included in the routine. Solid coloured, opaque posing trunks are used for all rounds. The colour, fabric, texture and style of the trunks will be left to the competitor’s discretion. The trunks must cover a minimum of ¾ of the gluteus maximus. The front area must be covered and the side of the trunks should be 1 cm in width at a minimum. Except for a wedding ring, competitors will not wear footwear, glasses, watches,necklaces, earrings, wigs, distracting ornamentation or artificial aids to the figure. Props are not allowed at any time on stage. The IFBB has banned all tans and bronzers that can be wiped off. If the tan comes off by simply wiping, the athlete will not be allowed to enter the stage. Sparkles, glitter, shiny metallic pearls or gold colouring are prohibited whether applied as part of a tanning lotion and/or cream or applied separately. The delegated representative, will have the right to determine if a competitor’s attire meets an acceptable standard of taste and decency and, eventually, recommend the athlete to change the attire, if it does not meet the prescribed standards. The judge first assesses the overall male athletic appearance of the physique. This assessment should begin at the head and extend downwards, taking the whole physique into account. 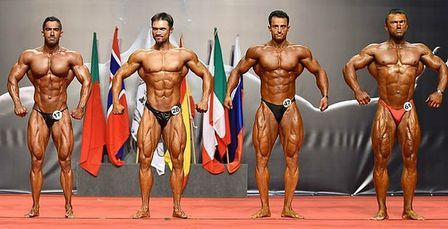 The assessment, beginning with the general impression of the physique, the overall athletic development of the musculature, the presentation of a balanced, symmetrically developed physique, the condition of the skin and the skin tone and the athlete’s ability to present on stage with confidence. During the comparisons of the Mandatory Poses, the judge will first look at the primary muscle group being displayed. The judge then surveys the whole physique, starting from the head, and looking at every part of the physique in a downward sequence, beginning with general impressions, and looking for muscular bulk, balanced development, muscular density and definition. A detailed assessment of the various muscle groups is be made during the comparisons, at which time the judge compares muscle shape, density, and definition while still bearing in mind the competitor’s overall balanced development. The comparisons of the Mandatory Poses cannot be over-emphasized as these comparisons will help the judge to decide which competitor has the superior physique from the standpoint of athletic balanced development, muscular density and definition.